Heavy bereavement for scientific community of Azerbaijan, an outstanding scientist, scientific organizer of scientific works in the field of theoretical and high-energy physics, the head of the High-energy Physics Laboratory of the Institute of Physics of Azerbaijan, Farkhad Teymur oglu Khalilzade, died at the age of 69, on February 22, 2019. Farkhad Khalilzade was born on August 28, 1950 in Baku. In 1972, he graduated from the Baku State University, the Faculty of Physics, and in the same year began his scientific work at the Institute of Physics of the National Academy of Sciences of Azerbaijan. 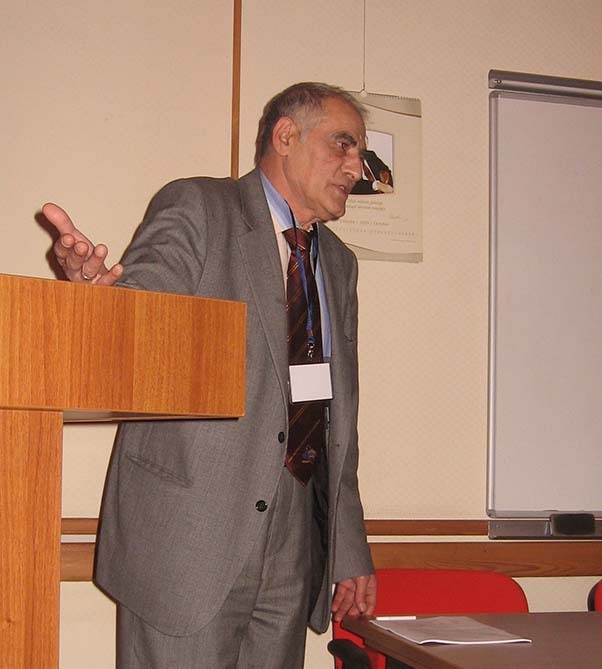 In 1980, Farkhad Khalilzade successfully defended his thesis on "Calibrated models SU(2)xU(1)xU'(1) of leptons and neutral weak currents" under the guidance of corresponding member of the National Academy of Sciences of Azerbaijan, Iskandar Jafarov, and received a PhD degree in physical and mathematical sciences. For 47 years of his scientific activity at the Institute of Physics of the National Academy of Sciences of Azerbaijan, Farkhad Khalilzade has passed an honorable way from a junior research assistant to the head of the laboratory. 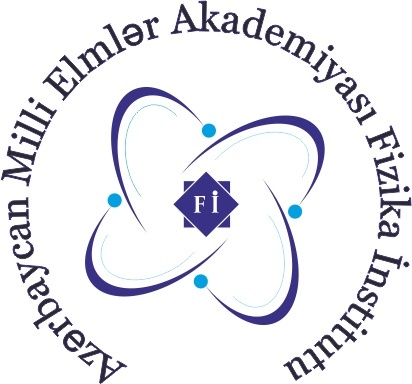 Farkhad Khalilzade adequately represented the National Academy of Sciences of Azerbaijan at the Institute of High Energy Physics (Protvino, Russia), the Joint- Institute for Nuclear Research (Dubna, Russia), the University of Ankara (Ankara, Turkey), the European Organization for Nuclear Research (Geneva, Switzerland), and other organizations. The memory of the famous scientist, scientific organizer and close friend Farkhad Teymur oglu Khalilzade will always live in our hearts. In Institute of Physics Azerbaijan National Academy of Sciences there has been held the meeting dedicated to the memorable day of the Great leader Heydar Aliyev. Nazim Mamedov, Director of Institute made an opening speech. He told about the work carried out for people prosperity to be improved, development of our state system to be done by great leader. He emphasized that suggested strategy of national leader Heydar Aliyev within Azerbaijan independence defence has been continued today. N.Mamedov reminded that Institute of Physics and research workers were honored with the scientific prize of “Web of science” base. He noted that purposeful policy of great leader Heydar Aliyev and the successor of his policy President Ilham Aliyev is the basis of all achievements. Later N.Mamedov proposed to stand in memory of national leader. 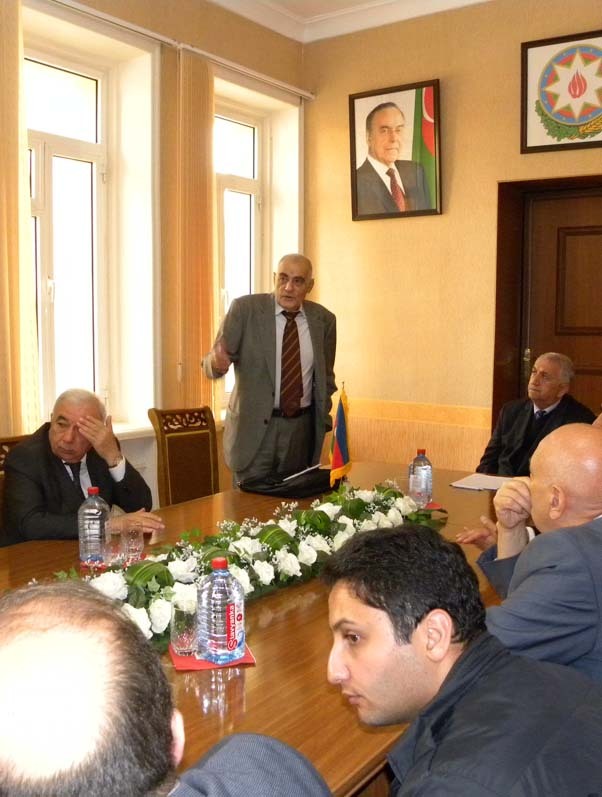 Then deputy director on researches, academician Javad Abdinov, spoke at the meeting. He marked that Heydar Aliyev’s return to state power in 1990 th created the principles of state system in the country. He told about the work in the development of Azerbaijan science performed by the great leader Heydar Aliyev. Salima Mekhtiyeva, associate of Azerbaijan National Academy of Sciences, chief of laboratory “Physics of non-crystalline semiconductors” spoke about the historic merits of great leader to for our homeland. She indicated that Heydar Aliyev’s personality in Azerbaijan history and our state consciousness carries the great sense of responsibility. She told about the inestimable contribution of Heydar Aliyev to homeland and nation. S.Mekhtiyeva pointed that great leader created state ideology having an effect on all spheres of social, political, cultural and life of Azerbaijan. She noted that progressive period of as Azerbaijan National Academy of Sciences as Azerbaijan sciences has been referred to great leader’s guidance. She also emphasized that the science, economics and culture appeared to be at a high stage of development in those years. According to the plan approved by decree № 774s Cabinet of Ministers dated December 20, 2017 Azerbaijan National Academy of Sciences announces admission to doctorate and dissertate on preparing PhDs and doctors on the 2018 academic year. Documents on the training program for PhD and doctors will be accepted from the December 4 to 24, 2018 (except Saturday and Sunday) from 10:00 to 17:00. The doctoral studies in the PhD program are accepted citizens of the Republic of Azerbaijan with higher education through competition (with a master's degree or education equated to it, as in the medical education of physicians or medical specialist). - A copy of the identity document. Citizens of the Azerbaijan Republic with the PhD degree as well as the differing developments in scientific or scientific-educational sphere and able to carry out basic research at a high level are accepted to the doctoral program. Scientific and scientific-pedagogical personnel having higher education of higher educational institutions, scientific and other organizations who differing with successes in the field of the study may submit documents in dissertate for the degree of Doctor of Philosophy ) who graduated from Master's degree or education equated to it). Individuals who have completed education through dissertate, again cannot be candidates for a degree in the same specialty. Those who complete their education in doctoral studies cannot be educated by dissertate in the same specialty. Individuals wishing to become a candidate must usually have experience of scientific and pedagogical work. For the degree of Doctor of Science by dissertate presence, the degree of Doctor of Philosophy is a basic condition. For more information you can address to the Head Office of Science and Education of ANAS. Heavy bereavement for scientific community of Azerbaijan, famous physicist, Honored Scientist, active member of Azerbaijan National Academy of Sciences, doctor of physical and mathematical sciences, Professor Firudin Mammad Ali oglu Hashimzadeh died at the 83rd on September 28, 2018. Firudin Hashimzadeh was born on December 7, 1935 in Baku. After graduating from high school in 1952-1957, he graduated from the Faculty of Physics and Mathematics of Azerbaijan State University. In 1957, he entered the graduate school of the Institute of Physics of the National Academy of Sciences of Azerbaijan, and continued his education at the A.F. Ioffe Physical-Technical Institute of the Leningrad Academy of Sciences of the USSR. 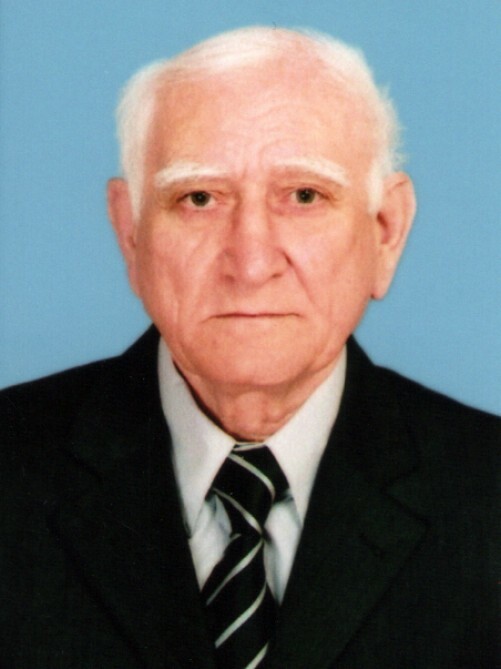 Started his career in 1961 as a junior researcher at the Institute of Physics of the Azerbaijan Academy of Sciences, Firudin Hashimzadeh worked here as a senior researcher in 1963-1968, in 1968-1987 as head of the Semiconductor Laboratory, in 1987-1993 was the head of the department "Physics of strong anisotropic crystals." 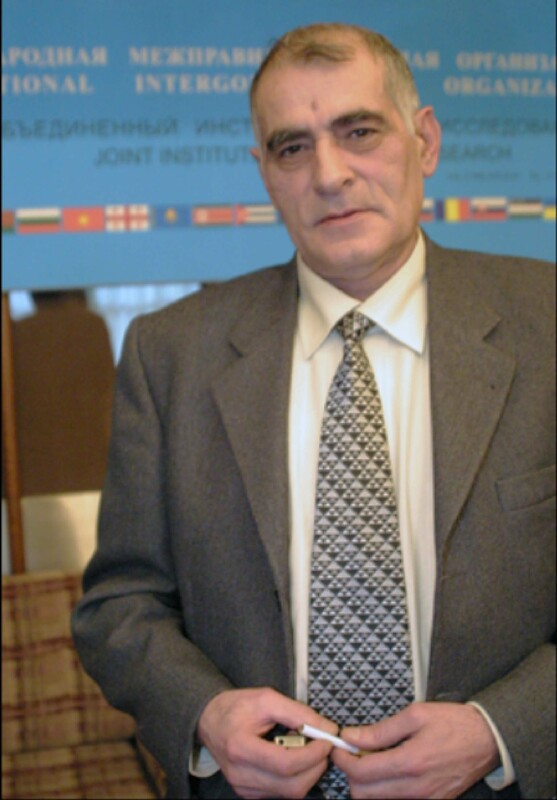 In 1993-1994 he worked as deputy director of the Institute of Physics of the Academy of Sciences of Azerbaijan, in 1994-2000 - the director of the institute, and from 2001 until the end of his life - senior scientific employee. Firudin Hashimzadeh defended the candidate's degree in 1962, in 1972 - his doctoral dissertation, in 1974 he received the scientific title of professor. In 1980 he was elected a corresponding member, and in 2001 he was a full member of the National Academy of Sciences of Azerbaijan. Being one of the founders of the scientific school in the field of the theory of semiconductors in our republic, Academician Firudin Hashimzadeh with his fruitful scientific work made a significant contribution to the development of modern physical science. Firudin Hashimzade's research in the field of the theory of solids was highly appreciated by specialists. The scientist created the theory of kinetic, optical and magnetic properties of semiconductors and semimetals according to Kane type, determined the energy spectrum of electrons in a quantum system of small sizes, revealed a new mechanism for the formation of negative magnetoresistance. The research results of academician Firudin Hashimzadeh are reflected in over 150 scientific works and one monograph published in our country and abroad. Under the guidance of a scientist in the field of physics, 11 doctors of science, 22 doctors of philosophy were trained. With his performances in a number of prestigious international scientific symposia and conferences, he adequately represented the Azerbaijani science. The pedagogical activity of Firudin Hashimzadeh also deserved approval. 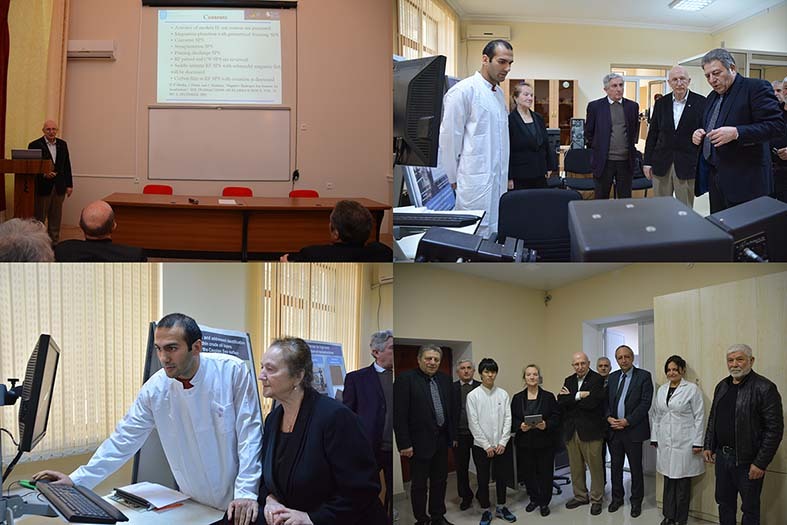 The lectures on scientific directions of theoretical physics and the theory of solid substances read by scientists for more than 30 years in the Baku State University were highly appreciated by the educational community. The scientific, organizational and pedagogical activities of Academician Firudin Hashimzadeh are highly appreciated by the state. In 1986, the scientist was awarded the State Prize of the Republic of Azerbaijan in the field of science and technology for the cycle of works "Optical Spectroscopy of Antiferromagnets", in 2015 for merits in the development of Azerbaijani science - honorary title "Honored Scientist". The memory of the famous scientist, teacher, scientific organizer and sincere person Firudin Mammad Ali oglu Hashimzadeh will always live in our hearts. Ilham Aliyev, Mehriban Aliyeva, Novruz Mammadov, Ogtay Asadov, Ramiz Mehdiyev, Ali Ahmadov, Farah Aliyeva, Akif Alizadeh, Jeyhun Bayramov, Ibrahim Guliyev, Rasim Alguliyev, Nazim Mammadov, Arif Pashayev, Bahadur Taghiyev, Javad Abdinov, Chingiz Ghajar, Enver Nahmadov, Tayyar Jafarov, Abel Maharramov. Heavy bereavement for scientific community of Azerbaijan, famous physicist, Honored Scientist, active member of Azerbaijan National Academy of Sciences, doctor of physical and mathematical sciences, Professor Firudin Mammad Ali oglu Hashimzadeh died at the 83rd on September 28, 2018. F.M. Hashimzadeh was a famous physicist who made a great contribution to the development of semiconductor physics and solid state physics as a whole. F.M. Hashimzadeh was born on December 7, 1935 in Baku. After graduating from the Faculty of Physics and Mathematics of Azerbaijan State University in 1957, he entered the graduate school of the Institute of Physics of the Academy of Sciences of Azerbaijan and was sent to the Leningrad Physical-Technical Institute (now the Ioffe Physical Institute named after A.F. Ioffe, RAS), where he underwent postgraduate training under the guidance of Professor A. Gurbanov. The first works of F.M. Hashimzadeh were devoted to group-theoretical analysis and calculation of the band structure of complex semiconductor compounds. On the basis of these works in 1962 he defended his PhD thesis. After returning from Leningrad to Baku in 1963, F.M. 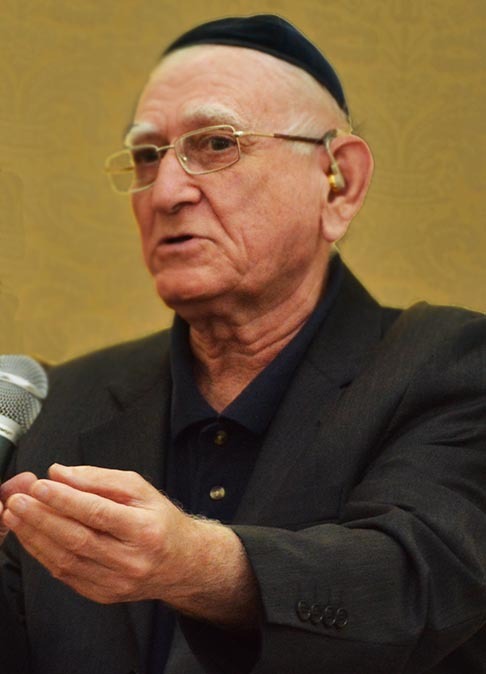 Hashimzadeh was hired by the Institute of Physics of Azerbaijan as a junior researcher, then until 1968 he worked as a senior researcher, in 1968-87 as head of the Semiconductor Laboratory, in 1987-93 years was the head of the department “Physics of strong anisotropic crystals”. In 1993-94, he worked as deputy director of the Institute of Physics of the Academy of Sciences of Azerbaijan, in 1994-2000 – the director of the institute, and since 2001, chief researcher. F.M. Hashimzadeh defended his thesis in 1962, and in 1972 he defended his doctoral thesis on the basis of a number of works on the electronic spectra, electrical, optical and magnetic properties of some conductors, in 1974 received professor degree. In 1986 he became the winner of the State Prize of the Republic of Azerbaijan. In 1980 he was elected a corresponding member, and in 2001 a full member of the National Academy of Sciences of Azerbaijan. Being one of the founders of the scientific school in the field of the theory of semiconductors in our republic, academician F.M. Hashimzadeh with his fruitful scientific activities made a significant contribution to the development of modern physical science. The works of F.M. Hashimzadeh cover a wide range of problems in solid state physics. First of all, it is a cycle of works that created a group-theoretical basis for calculating the band structure and vibrational spectra of semiconductors. Another cycle of his works is devoted to the theory of narrow-gap semiconductors and semimetals. F.M. Hashimzadeh created a consistent theory of the kinetic, optical and magnetic properties of semiconductors according to Kane spectrum of electrons. A number of F.M. Hashimzadeh predictions made in the works have been experimentally confirmed (magnetic tape spin-magnetic resonances on the optical interband light absorption diamagnetic sign of the magnetic susceptibility of the electron gas in Kane semiconductors, the saturation of the magnetic moment in ultraquantum magnetic fields, etc.). A number of works by F.M. Hashimzadeh are of a general theoretical nature and are dedicated to the development of group-theoretical methods applied to solid-state physics. In a series of studies on the optical spectra of magnetic dielectrics, he widely used these methods to analyze the spectrum of magnons and excitons in carbonates of transition elements, and he created a theory of the optical spectra of two-magnon absorption and light scattering in these materials. The methods of research developed by F.M. Hashimzadeh and the specific results obtained by him are widely known and are used to study the energy spectrum of the kinetic, optical, magnetic and elastic properties of a wide class of solids. In recent years, the scientific interests of F.M. Hashimzadeh moved to the current area of research of the energy spectrum, optical and kinetic properties of nano-objects - quantum dots, quantum wires and quantum wells. For almost 40 years, F.M. 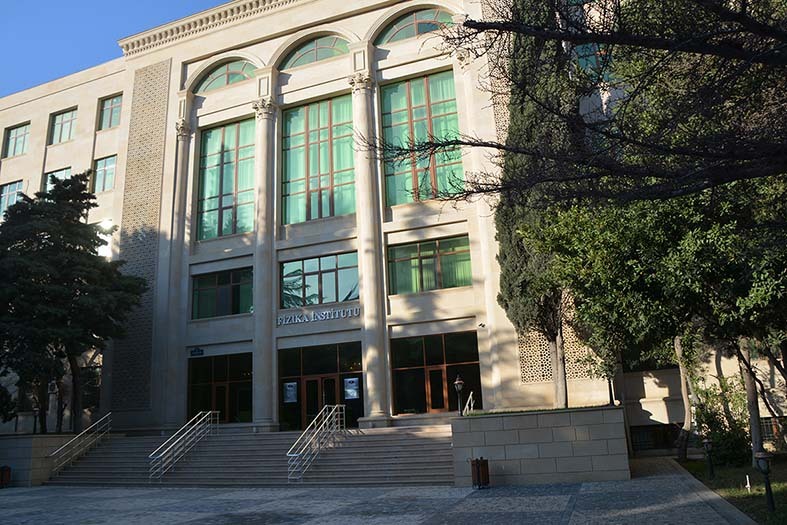 Hashimzadeh conducted pedagogical activity, reading various courses of theoretical physics and special courses for students specializing in solid-state physics at the Faculty of Physics of Baku State University. F.M. Hashimzadeh founded a scientific school on the theory of semiconductors in Baku. There are 10 doctors and more than 25 candidates of science among his students. He is the author of more than 150 scientific articles and several monographs. The scientific, organizational and social activities of academician Firudin Hashimzadeh are highly appreciated by the state. 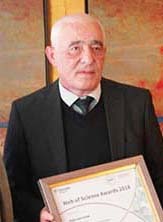 In 1986, the scientist was awarded the State Prize of the Republic of Azerbaijan in the field of science and technology for the series of works “Optical Spectroscopy of Antiferromagnetics”, in 2015 for merits in the development of Azerbaijani science - honorary title "Honored Scientist". The memory of the famous scientist, teacher, scientific organizer and sincere person Firudin Mammad Ali oglu Hashimzadeh will always live in our hearts. Serial (being held every 2 years) International Conference on Ternary and Multinary Compounds (ICTMC) was first held in Bath (United Kingdom) in 1973. Later the conference has been held in France, Japan, Italy, Venezuela, Germany etc. 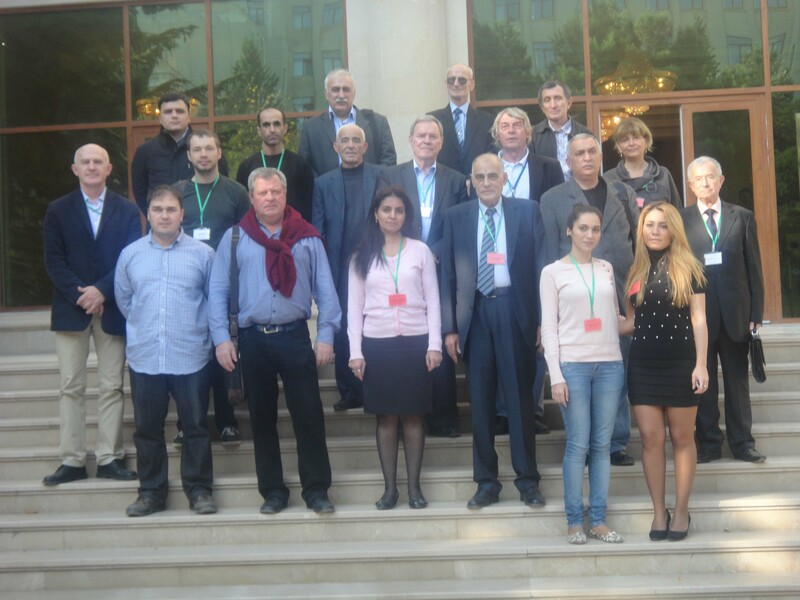 In 2010, ICTMC-17 organized by Institute of Physics, Azerbaijan National Academy of Sciences was held in Azerbaijan under presidency of academicians Arif Pashayev and Nazim Mamedov. International conference ICTMC-21 will be held in Boulder (Colorado, USA) on September 9-13, 2018. At this conference Azerbaijan will be represented by Academician secretary of Physico-Mathematical and Technical Sciences of Azerbaijan National Academy of Sciences, director of Institute of Physics academician Nazim Mamedov and researcher Ziya Aliyev. At the conference, the representatives from Japan, Korea, China, USA, Germany, Sweden, France, and Luxemburg will participate. Selected articles will be published in high impact factor journal “Physica Status Solidi”. The presentation of the doctorant thesis to obtain the title of Doctor of Science in Physics on speciallities 2203.01-"Electronics"
"Peculiarities of some optical effects in hybrid liquid crystalline systems"
The presentation of the doctorant thesis to obtain the title of Doctor of Philosophy in Physics on speciallity 2212.01-"Theoretical physics"
"Analitical solutions of Schrödinger, Klein-Fock-Gordon and Dirak equations with ordinary and supersymmetric quantum mechanics for exponential type potentials"
The presentation of the doctorant thesis to obtain the title of Doctor of Philosophy in Physics on speciallity 2220.01-"Physics of semiconductors"
"Impact of the Bi2Te3 composite on the structure, dielectric and optical properties of low-density poliethylene"
In Institute of Physics Azerbaijan National Academy of Sciences Women’s Council constituent assembly has been held. Rena Mirzazadeh, doctor of philosophy, Ziba Agayeva, doctor of philosophy sciences and Samira Kadiyeva, candidate of philosophy sciences from Women’s Council of Azerbaijan National Academy of Sciences took part in given assembly. Academician Javad Abdinov, deputy director on science opened the ceremony. He wished success in further activity of newly organized Council. Salima Mekhtiyeva, associate of Azerbaijan National Academy of Sciences, chief of the laboratory was nominated for chairman of Women’s Council. J.Abdinov spoke about S.Mektiyevas’s scientific activities. He noted that she worked as a deputy director amd scientific secretary of Institute of Physics for a long time. He emphasized that S.Mekhtiyeva is the first woman as associate af ANAS on physics,mathematics and technical sciences. Sitara Bagirova, doctor of philosophy on physics, chairman of Trade Union Committie, Elmira Kerimova, doctor of physico-mathematical sciences, professor told about S.Mekhtiyeva and supported her nomination. Given proposal was put to the vote and adopted unanimously. The working group including 13 men was elected in Council. While speaking professor Rena Mirzazadeh stressed that Women’s Council of ANAS is distinguished from other nongovernmental organizations. She said that Council has been aimed at fulfilling scientific and methodological problems. R.Mirzazadeh mentioned that Women’s Council will cooperate with the institutes, part “Yeni Azerbaijan, Trade Labour Commities, Councils of Young Scientists and Specialists. Salima Mektiyeva expressed her gratitude to the Institute collective body fot the confidence. On May, 14 the team of Institute of Physics participated in final stage of V Football Championship among ANAS CYSS institutes. At the final match the football teams of Institute of Physics and Presidium of AMAS have been competed. The game was tense and the team of Institute of Physics won with the score 1:0. During the last minute of the match the team was outnumbered. The team goalkeeper getting the red card was withdrawn from the match and football player of the team of Presidium of ANAS did not kick the penalty. The game ended with score 1:0. The team of Institute of Physics became the winner of Football Championship among ANAS CYSS institutes for the third time. Later the ceremony of rewarding u cup presentation was held. During the closing ceremony Akif Alizade, President of ANAS stated that the championship is traditionally devoted to the birth date of national leader Heydar Aliyev. He marked the importance of youth sport besides the science. He also noted that Institute of Physics kepps the leadership in science and carries out a number of grand projects with the leading scientific organizations. Academian Nazim Mamedov, director of Institute of Physics, Azerbaijan National Academy of Sciences received Roald Sagdeev, member of Russia Academy of Sciences, director of Institute of Lithosphere Physics, Russia Academy of Sciences Sergey Tikhotskii, associate of Russia Academy of Sciences, Oleg Pokhotelov director of laboratory “Geoelectrodynamics” doctor of physico-mathematical sciences and Elena Popova, leading research worker, candidate of physico-mathematical sciences. During the meeting academician Nazim Mamedov spoke about the institute activities, scientific results and the incestigations under pursuance. R. Sagdeev teached such issues as personnel exchange, prospectives of further cooperation and etc. Later there has been held the workshop with the participation of guests in Institute of Physics. The workshop was attended by academician Ibragim Guliyev vice-president of Azerbaijan National Academy of Sciences and Gurban Yetirmishli associate of Azerbaijan National Academy of Science, director of Republican Seismological Service. Beforehand Sergey Tikhotskii associate of Russia Academy of Sciences made a report. 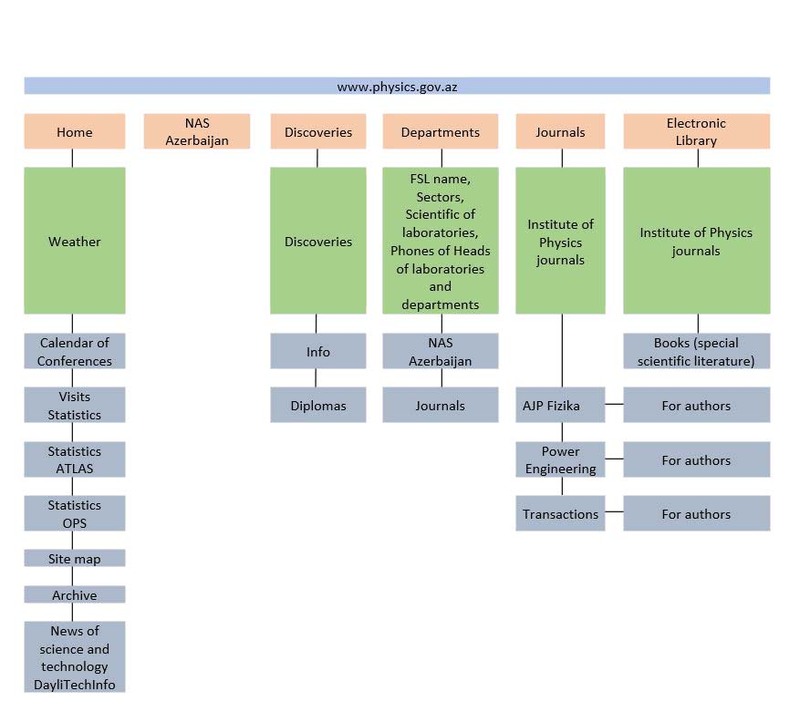 He gave the information about the history of creating the Institute of Lithosphere Physics, the ways of its development up to date, directors headed the Institute at different times. He informed that the institute which is 90 years members 600 research workers. S. Tikotskii noted that there have been carried out the investigations, basically in geology, seismology, electromagnetic geophysics in the institute. Oleg Pokhotelov continued the workshop. At the end the speakers answered the questions of the workshop participants. Russian guests also got acguainted with Innovation Sector of Institute of Physics. Research workers of the Institute reported about the advanced installed equipment. Council of Young Scientists and Experts (CYSE) of Institute of Physics, Azerbaijan National Academy of Sciences (ANAS) arranged the meeting with schoolchildren in S.D. Pishavari in Republican Gymnasia of Humanities. The aim of meeting was to get acquainted with newly established “ Maly Scientific Academy” in Gymnasia and show scientific and diverse physical experiments to the schoolchildren from Gymnasia. Jamilya Allahkhverdiyeva, deputy of director of Gymnasia spoke about the activity of given Academy. She noted that S.D. Pishavari Republican Gymnasia of Humanities has been collaborated with institutes of ANAS for a long time especially with Institute of Physics. G. Allahkhverdiyeva told about the contest “Future researchers” among IX-XI grade pupils arranged by CYSE ANAS on Institute of Physics initative in 2016. She emphasized that distinguished pupils by results of given project were awarded. It is observed that in spite of the fact that Gymnasia has been specialized in humanities great attention is also given to technical sciences. At the end G. Allahkhverdiyeva presented the executive council of “Maly Scientific Academy” and the president of this Academy Lyaman Gadzhieva to the participants of the meeting. Later Gafil Damirov, chairman of CYSE of Institute of Physics, doctor of philosophy on physics spoke and painted that the science and education are given a special consideratiou and care by the state programsbe appoved for different years. He relacted about the young scientists initiative to increase schoolchildren’s interest to physics. He indicated that the main part of given initiative is to have held additional classes for VII grade pupils since September, 2017, the second part is to enlist the schoolchildren to physics by means of scientific and diverse programs. G. Damirov expressed his hope for further collaboration. 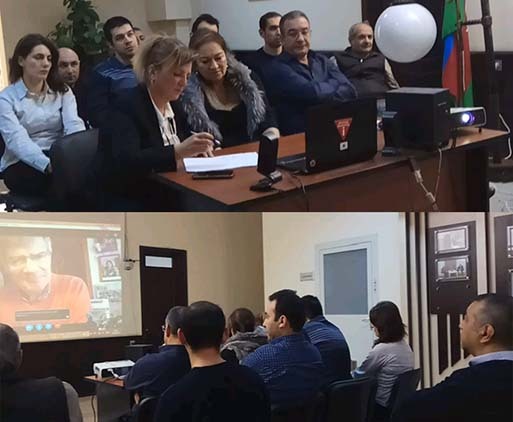 Member of CYSE Suma Guseynova, doctor of philosophy on physics, research workers Sabina Zeynalova, Aynur Gakhramanova and Khumay Mamedova took part in this meeting. In conclusion the scientific and entertaing show was demonstrated. 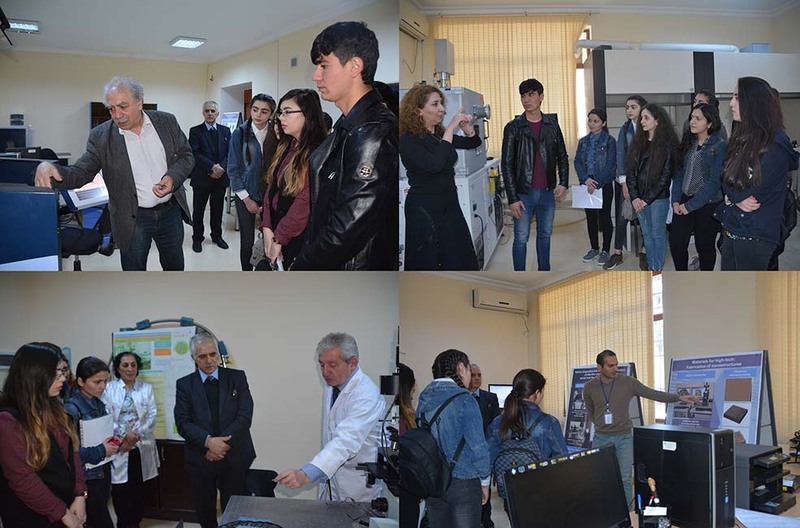 Second year students of physics faculty from Azerbaijan State Training University within “Physics Month” visited Institute of Physics ANAS. The aim of arranged meeting to integrate science and education is to increase students’interest to the science and rise their knowledge standarts. Scientists from Institute of Physics spoke to the students about scientific activities and research works conducted in laboratories, the latest achievments of Institute scientists, got acguainted with the advanced equipment of Innovation Sector. The presentation of the doctorant thesis to obtain the title of Doctor of Technical Science on speciallity 3344.01-"High-voltage engineering"
On February 22, 2018 in Institute of Physics Vadim Dudnikov, the well-known authority on ion sources held held the workshop “Modern H-Ion sources for accelerators”. Ilkham Hasanov, doctor of physico-mathematical sciences, chief of laboratory “IR photoelectronics and plasma phenonomena” opened the workshop. He spoke about V. Dudnikov and noted that the scientist is on visit to Baku on behalf of academician Roald Sagdeyev’s jubilee conference. I. Hasanov mentioned that V. Dudnikov has been the chief of laboratory in Novosibirsk Institute for Nuclear Physics and headed the department “General Physics” for many years. He said that in 1971 the sources of negative ions developed by the scientist were widely adopted in various laboratories worldwide. I. Hasanov emphasized that in the 1980 s. V. Dudnikov took an active part in conferences and workshops in Kiyev Institute of Physics dedicated to ion sources. The scientist has been living in the USA to carry on his scientific activities for a long time. Then V. Dudnikov spoke at the conference, afterwards the debates on the subject under the discussion were taken place. Later the guest got acguainted with the material and technical basis of Institute Physics Innovation Sector and scientific activities of Institute research workers. Vadim Dudnikov got to know Yuto Yasui, master of Chiba University, Japan being on two-month professional business trip in Institute of Physics. Within the framework of NATO “Science for Peace and Security Programme” the teleconference on the opening of the three-year “Portable sensors for unmanned explosive detection” project has been held in the Institute of Physics Azerbaijan National Academy of Sciences. The NATO country project director (NPD) Dr. Claudio Ferrari (Italy) and the project participants from the Institute of Materials for Electronics and Magnetism - National Research Council (IMEM-CNR) and the University of Parma together with the partner project director (PPD) – the leading scientific researcher, associated professor of the Institute of Physics Dr. Nahida Musayeva (Azerbaijan) with other participants and the workers of the End User of the project – Research and Development center for High Technologies at the Ministry of Transport, Communication and High Technologies have taken part in the teleconference held on the 15 of February. Dr N.Musayeva has spoken about the methods of fullfilling the scheduled work plan and responsibilities of the scientists, especially young specialists’ in the project. Dr. Claudio Ferrari also spoke about project management and forthcoming scientific and organizational works. The research on the project has started, and monthly report conferences are scheduled on a regular basis. 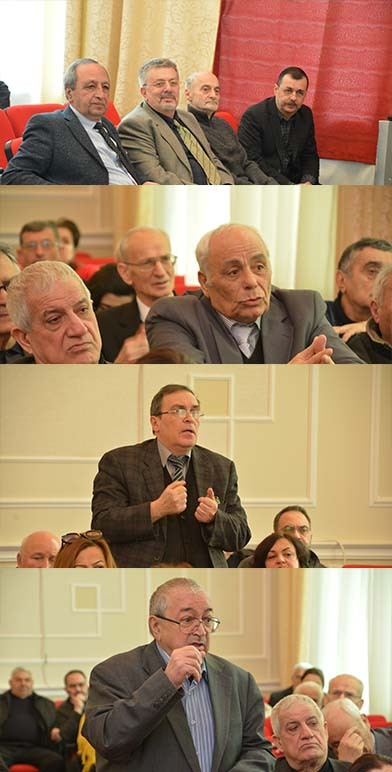 In Institute of Physics, Azerbaijan Academy of Sciences there have been held the event dedicated to 28th anniversary of martyrs of January, 20. Academician Javad Abdinov, deputy director in science spoke to the audience. He noted that Soviet Russia showed repeatedly the aggression against Azerbaijan people. The events taken place on January 20 and Khodzali tragedy were the most relentless. Late in the 1980th years Armenian separatists claimed their rights to Nagorni Karabakh, Azerbaijan territory. J.Abdinov emphasized that Azerbaijan and Armenia were included in the USSR which duty was to maintain territorial integrity. But Soviet Russia spared no effort to solve the given problem. By night from January, 19 to January 20 to srippers people and defence different nations’ rights in Baki 6000 military from Stavropol and Krasnodar regions of Russia were sent there. J. Abdinov noted that 82 men had been killed before establishing state of emergency in Baki. During January, 20 147 men died, 744 men were wounded, 841 men were illegally arrested, 200 homes were destroyed. He indicated that the special session by Parliament members was held the next day. The great lider Heydar Aliyev risking his life charged with the organizers of that terrible tragedy throughout the world community and made a courageous statement. The national leader called the tragedy the crime against Azerbaijan people. J. Abdinov spoke about the history of Azerbaijan independence and marked that Azerbaijan must rely on itself and teach the future generation to remember our history. Sitara Bagirova, doctor of philosophy on Physics, chairman of trade union committee made a speech as well. She pointed out that she herself witnessed the tragedy of January, 20, 1990. S.Bagirova stressed that Azerbaijan people showed solidarity at that period. People consolidated for democracy, national independence of Azerbaijan,Karabakh. She stated that Soviet Army attacked Lenkoran,Jalilabad. Nakhchevan as well as Baki. She underlined that in spite of annexationist policy against Azerbaijan our state managed to maintain independence and now prospers day by day. S.Bagirova expressed firmly that martyrs’ blood death will be revenged and Karabakh will be liberated. Further Gafil Damirov , doctor of philosophy on physics, chairman of young scientist and specialist council made a speech. He spoke about savage acts on January, 20,1990 and noted that given events went down in Azerbaijan history as a heroic age. He emphasized that those who committed the tragedy had been gone unpunished so far. G.Damirov said that murderous January did not subdue Azerbaijan people and the present Azerbaijan independence is the martys’ services and every citizen must save the independence. Martyrs memory was honoured by standind and the film about those terrible days was demonstrated. In Institute of Physics, Azerbaijan National Academy of Sciences Academic Council meeting dedicated to scientific and organizational activities of Institute of Physics for the periode of 2017 has been held. Institute report is submitted by academician Javad Abdinov , deputy director. J.Abdinov marked that in Institute of Physics during the year under reviers all the commitments procuding from orders, laws and decrees of President of the Azerbaijan Republic, Cabinet and Presidium of ANAS were fulfilled. In 2017 in Institute of Physics research work was carried out in three trends (condensed physics, physical and technical principles of optoelectronics, nuclear physics and high energy physics). He submitted the information about important results obtained in departments and laboratories in Institute of Physics. J. Abdinov noted that there have been obtained 4 patents by Institute research workers, the works on integration of fundamental science and education. 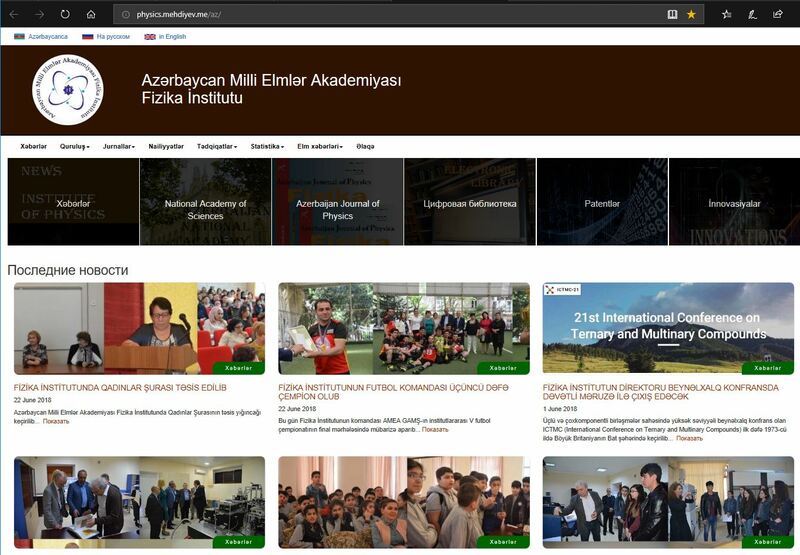 25 scholars of Institute gave lectures on special courses of study and were supervisors of master theses in Baku State Univesity, Baku branch of Moscow State University, Azerbaijan State Training University, Azerbaijan State Economic University, National Aviation Academy and other universities of the country. About 30 tutors and professors of mentioned educational institutions were joined to research activities in Institute of Physics. During the period between Institute of Physcis and Azerbaijan State University of Oil and Industry agreement on collaboration in scientific and educational sphere were signed. Later J.Abdinov reported of scientific and organizational activities in Institute, Council Young Scientist activities, local and foreign grants. On November, 1 there was held a meeting with Roald Sagdeyev, Academician of USSR Academy of Sciences and Russia Academy of Sciences, Laureate of Lenin Prize, professor of Maryland University, USA in Institute of Physics, Azerbaijan National Academy of Sciences. 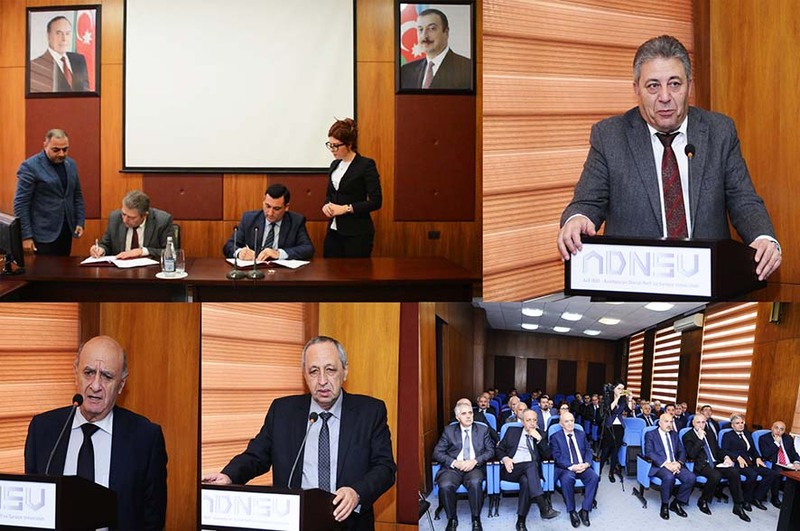 President of Azerbaijan National Academy of Sciences, Academician Akif Alizade, vice-president Ibrahim Guliyev, deputy minister of Foreign Affairs, rector of Diplomatic Academy Hafiz Pashayev take part in the meeting. Nazim Memmedov Academician Secretary of Physico-Mathematical and Technical Sciences Department, director of Institute of Physics made a closing speech. He noted that Academician R.Sagdeyevis world – famaous and made a valuable contribution to the development of theoretical physics, physics of plasma, nuckear and space physics. Later Akif Alizade, President of Azerbaijan Academy of Science spoke at the meeting. On behalf of all research workers of Azerbaijan Academy of Sciences he greeted R.Sagdeyev and emphasized that for Institute of Physics being of the leader of Azerbaijan science the meeting with Roald Sagdeyev is the important event especially before his 85 anniversary. 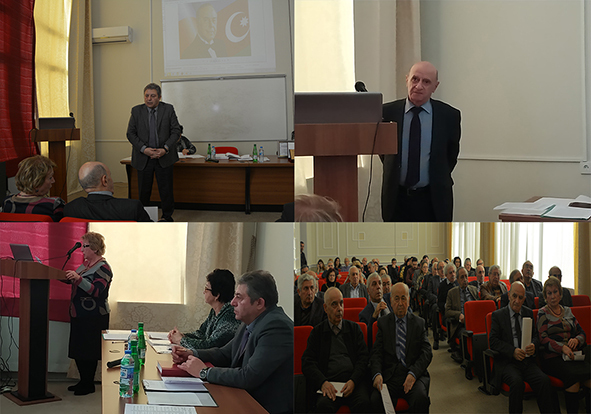 Academician Akif Alizade celebrated R.Sagdeyev, told about his scientific activities and the importance of studying his works and discoveries by young generation. Academician Sagdeyev spoke about his scientific activities formation shared with his memories about his tutors L.Landau V.Ginzburq and others. Then he answered the questions and wished to get acquainted with the experimental base of the Institute. On November 8, R.Sagdeyev visited Institute of Physics to get to know the technological base and equipment of Innovation Sector. In conclusion he marked that Institute of Physics is supplied with modern equipment enable the experimental works to be carried out successfully and the conditions for working out scientific works deserve a high appraisal. In Institute of Physics, Azerbaijan National Academy of Sciences there has been held the workshop with professor Avtandil Tavkhelidze, Ilya University, Georgia and professor Z.Taliashvili, Institute of Microelectronics, Georgia. Deputy director in transfer and innovation, doctor of physic-mathmatical sciences Ayaz Bayramov presented guests and indicated that the workshop was dedicated to the results of joint investigations under pursuance. Professor Tavkhelidze spoke at the workshop with the report “Quantum effects due to periodic nanostructure geometry”. First he gave the report on experiments under study and noted that the meamrements were measurements were mainly conducted on the installations in Institute of Physics. He added the investigation results in detail. Further professor Taliashvili’s report “Production of Si-based solar cells of nanostructuralized surface”, director of Institute, academician Nazim Mamedov, deputy director Ayaz Bayramov’s report “Optical properties of periodic nanostructures on Si-based single crystal have been made”. In colcusion discussions of given theme have been taken place. On November, 2 in Azerbaijan State University of Oil and Industry (ASUOI) the agreement on collaboration between Intitute of Physics, Azerbaijan National Academy of Sciences (ANAS) and ASUOI were signed. At the opening ceremony rector of the university Mustafa Babanli made a speech. Babanli spoke about ASUOI facility, specialities given at the University. He noted that the collaboration of two organizations is the result of the work carried out under the guidance of ANAS and the Ministry of Education in integration of science and education. M. Babanli added about the work conducted to inrich the material and technical base in ASUOI. He marked that joint investigations, personnel exchange will be made out projects with local and foreign research institutes will be realized. Then director of Institute of Physics Academician Nazim Mamedov spoke about numerical meetings taken place in ASUOI and Institute of Physics, ANAS acquaintance with staff, material and technical base. N.Mamedov mentional that University is one of the leading research institutes and is recognized in the world. He hoped that the work within the collaboration will be held successfully. Further the agreement between Institute of Physics and ASUOI were signed. After siging ceremony deputy director of research of Institute of Physics, Academcian Javad Abdinov made a speech. J.Abdinov noted that the collaboration between Institute of Physics and ASUOI in particular with «Physics» department on such specialities as power engineering has been always existed. He mentioned that most professors and assistant professors of «Physics» department have been ingaged as research workers at the Institute of Physics, ANAS and given collaboration will enable scientific and educational relations to be extended and high results to be achived. Deputy director of Innovation and Transfer Ayaz Bayramov , doctor of physico-mathematical sciences, chief of «Physics» department ASUOI professor Musavar Musayev and professor of «Heat Power Engineering » Kamal Abdullayev also made a speech. By the September 22, 2017 order of Academician Akif Alizade, president of Azerbaijan National Academy of Sciences the contest “Mother tongue is our national property” was held on September 23-25,2017. As a result of the competition, the second place was won by the master of the Physical Institute, Ayten Sharifli. On December 28, 2017 on behalf of the Day of All Azerbaijanis of the world the final of Chess Tournament for Cup of High Technology Park of Azerbaijan National Academy of Sciences was taken place. The teams representing the institutes of Azerbaijan National Academy of Sciences participated in the above – mentioned tournament. In matches for 4 days 32 employees were registered. The winners taken the first, second, third and fourth places were announced at the final match. By the tournament results Sakin Jabarov, doctor in philosophy was the fourth. S.Jabarov was awarded by honorary diploma. 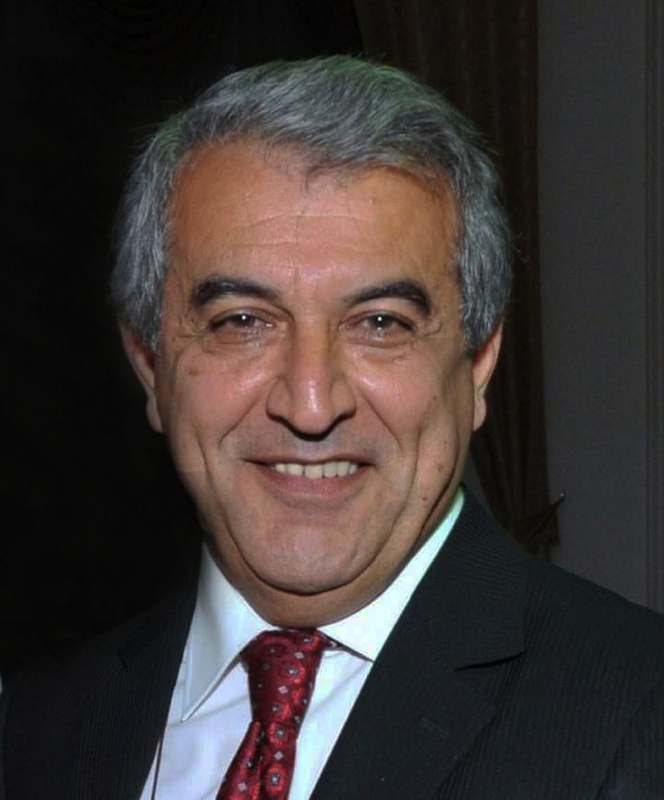 On September 11-14, 2018 director of Institute Physics, Azerbaijan National Academy of Sciences Academician Nazim Mamedov will participate at International Conference on Ternary and Multinary Compounds (ICTMC-21) , Colorado, USA. At the Conference the representatives from Japan,Korea, China, USA, Germany, France and Luxemburg will take part in. 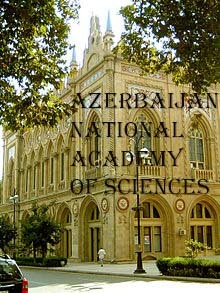 According to the plan approved by decree Cabinet of Ministers dated December 20, 2017, Azerbaijan National Academy of Sciences announces admission to doctorate and dissertate on preparing PhDs and doctors on the 2018 academic year. Documents on the training program for PhD and doctors will be accepted from the day of publication (except Saturday and Sunday) from 10:00 to 17:00. For more information you can address to the Department of Science and Education of ANAS. ©All rights are reserved. Citing to www.science.gov.az is necessary upon using news. Dear colleagues, authors of articles and readers of the magazine "AJP Fizika"
The presentation of the doctorant thesis to obtain the title of Doctor of Philosophy in Physics on speciallities 2203.01-"Electronics"
"Three-dimensional defects in a thermoelectric material based on antimony and bismuth telluride"
The presentation of the doctorant thesis to obtain the title of Doctor of Philosophy in Physics on speciallities 2200.01-"Physics of semiconductors"
Rauf Adil ogly Suleymanov, the professor, the Doctor of Physics-Math Sciences, Azerbaijan State prize winner died after serious illness in November 8, 2017 in his 68th year. After graduation of Faculty of Physics, Rauf Suleymanov had followed the long path from laboratory assistant up to head of “Real crystal spectroscopy” laboratory of Institute of Physics of Azerbaijan NAS and professor, Doctor of Physics-Math Sciences. He was the author of many scientific sciences published in national, scientific journals, also he was the participant of many international conferences. His scientific-teaching activity was in Baku State University, Azerbaijan State University of Oil and Industry, Technical University Orta Dogy (Turkey), Technical University Gebze (Turkey) and Antalya Scientific University (Turkey). Professor Rauf Suleymanov played the important role in development of scientific-educational potential of Azerbaijan and Turkey. Among his students there are scientists, candidates and doctors of sciences. His creative activity was finished in “Solid States” chamber in Gebze Technical University. Rauf Adil oglu Suleymanov is the beautiful person, friend and he will remain in hearts of friends, relatives and all people who loves him very much. "Impedance spectroscopy of axial and nonuniform gas discharge plasma in inert gases and mercury vapours"
The presentation of the doctorant thesis to obtain the title of Doctor of Philosophy in Physics on speciallity 2223.01-"Crystallography and crystal physics"
The presentation of the doctorant thesis to obtain the title of Doctor of Science in Physics on speciallity 2223.01-"Crystallography and crystal physics"
Let we invite you to participate in 9th International Conference on theory and application of Soft Computing, calculation with words an perceptions (ICSCCW – 2017) that will be held in August, 24-25, 2017 in Budapest. The articles presented in conference will be published in Proceedings of Computer Science Journal (indexed in Conference Proceedings Citation Index, Web of Science and Scopus). We invite students and graduate students to participate in the conference of all forms of study, doctorants, employees of educational institutions,regardless of the country of residence. Articles in the conference proceedings are accepted until July 19, 2017 inclusive. Samples of the presented articles are: Mendeleev A. New approaches to the Periodic Law//Proceedings of the 15th European Conference on Innovations in Technical and Natural Sciences. «East West» Association for Advanced Studies and Higher Education GmbH. Vienna. 2017. P. 112-117. The period of the submission of electronic certificates and the electronic version of the proceedings are up to 25 working days after the end of the acceptance of articles. The period of publication and submission of the printed proceedings are up to 15 working days after the presentation of the electronic version. The presentation of the doctorant thesis to obtain the title of Doctor of Philosophy in Physics on speciallity 2203.01-"Electronics"
The presentation of the doctorant thesis to obtain the title of Doctor of Philosophy in Biology on speciallities: 2406.01-"Biophysics" and 2411.01 -"Physiology of human and animal"
“Role of Selenium in the oxidative processes induced by electric field of high tension and UV-irradiation in Г-6-ФДГ scarce erythrocytes"
The presentation of the doctorant thesis to obtain the title of Doctor of Science in Physics on speciallity 2203.01-"Electronics"
Mehdiyeva Salima Ibrahim gizi - corresponding member. Institute of Physics of ANAS regretfully informs that Ovsat Bahram oglu Abdinov, corresponding member of ANAS, Doctor of Physical and Mathematical Sciences, Professor died on (in) October, 29, 2016 at the age of 72 after a long illness. Ovsat Bahram oglu Abdinov was born on February 23, 1944 in Belokan city, Azerbaijan. He graduated from the Faculty of Physics of Baku State University in 1966. He defended the Ph.D. thesis in 1972 and the doctoral thesis in 1972. We confidently assert that the word combination “for the first time” is the beginning of each academic and organizational work of Ovsat Bahram oglu Abdinov. It is impossible to overestimate the merits of a prominent scientist Ovsat Bahram oglu Abdinov in the creation, development and training of national personnel for the first time in Azerbaijan in the field of high energy physics. Especially, his wide knowledge, inexhaustible energy, talent in organization and search of young specialists led to creation of his own school in this field of sciences that can serve as an example for future generations. 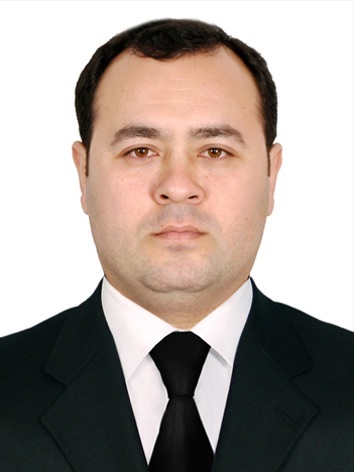 The theoretical description of hadron-nuclear interaction processes is the main direction of scientific investigations of Ovsat Bahram oglu Abdinov. He was the first who proposed a theoretical hypothesis of the cluster formation in light nuclei, which further was experimentally proved. Subsequently this hypothesis was reflected in a number of scientific works that have international fame. The laboratory headed by Ovsat Abdinov worked jointly first with Joint Institute for Nuclear Research (JINR, Dubna, Russia) and Institute of High Energy Physics (IHEP, Serpukhov, Russia) and then with European Centre for Nuclear Research (CERN, Switzerland) that is one of the leading international scientific world centers. The creation and expansion of these relations of Azerbaijan with CERN paved the way for the participation of Azerbaijan scientists in the grand experiment of the present time, the experiment on the Large Hadron Collider. However, he never interrupted the connections with Dubna. He was the staff member of JINR, took part in joined scientific investigational works with colleagues from Dubna, the deputy of authorized representative of the government of Azerbaijan Republic in JINR, the member of JINR Scientific Council. Creation of the first national GRID segment in Azerbaijan is associated with the name of Ovsat Abdinov. GRID-segments were firstly created under his direct supervision in Ganga Department of Institute of Geology of ANAS. The formation of informational GRID - infrastructure in Azerbaijan and its wide application in scientific research takes the special place in Ovsat Abdinov’s activity. We can say confidently that He was the author of the first GRID-segment created in Azerbaijan. Ovsat Abdinov dedicated near 20 years of his scientific activity to investigation carried out within the framework of ATLAS collaboration. As a result of these investigations he achieved the fundamental results in this field. We state proudly that Ovsat Abdinov was the one of the co-authors of the article dedicated to the most amazing discovery of this century, the discovery of a new type of quant of the Higgs field that is Standard Model Higgs boson responsible for spontaneous break of electroweak symmetry and the acquisition of fundamental particles mass. It should be noted that Pieter Higgs and Francoise Engler were awarded the Nobel Prize in Physics for the theory on the insertion of the Higgs boson. Ovsat Abdinov was the famous scientific representative of Azerbaijan intelligentsia not only in our republic but globally. He was the organizer of International conferences, invited plenary speaker at the famous International conferences, presenter of the high level reports at different scientific conferences. He repeatedly was the winner of a number of grants, as in the former Soviet Union as well as in Azerbaijan. 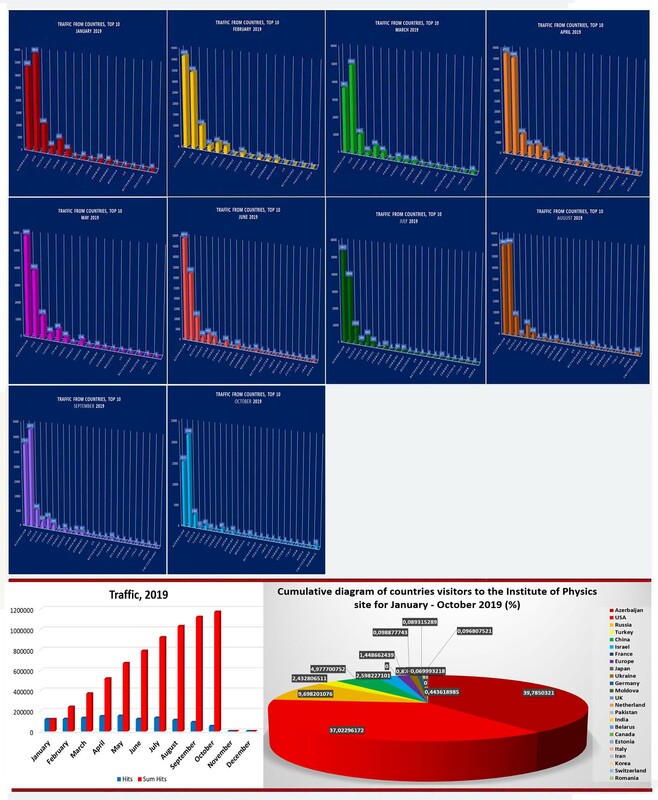 The group of scientists from Azerbaijan headed by Ovsat Abdinov and participated in ATLAS experiments on Large Hadron Collider not accidentally took the first place and was awarded by Thomson Reuter, being the leading world information center and database, for the highest number of citations on their article dedicated to Higgs boson discovery. With regret we say that because of his death, he could not be competed a number of planned scientific and organizational works, which are inherited by his students. It is hoped that this work will be carried out and continued by created by him scientific school for the benefit of the Azerbaijan science. May Allah bless his soul! Director of Institute of Physics of Azerbaijan National Academy of Sciences received the letter of thanks from Japan Society of Applied Physics. It expresses the gratitude to Nazim Mamedov Associate Member of ANAS for a reviewer of Applied Physics Express (APEX) or Japanese journal of Applied Physics (JJAP) published by the Society for more than 10 years. APEX/JJAP publishes the latest results and achievements in the field of applied physics. Nazim Mamedov, director of Institute of Physics Azerbaijan National Academy of Sciences, Associate of Azerbaijan National Academy of Sciences is elected as the editor of the journal «Physics», published by Canadian Publishing House «MAYFEB». There have been published scientific, technical and medical literatures throughout the world. The main trend of «MAYFEB» is the knowledge development within science and technology, including exchange of information and views researches. «MAYFEB» publishes 20 licensed open scientific journals. There are hundreads of editors and thousands of reviewers from different countries in Publishing House «MAYFEB». In may 13 th III Football Championship for Young Scientists and Experts of ANAS dedicated to the national leader Heydar Aliyev`s birthday has been completed/ the final matches were between the teams of Institute of Physics and Institute of Geology and Geophysics. The team of Institute of Physics won with a score 5:3. Academician Akif Alizade, Prezident of Azerbaijan National Academy of Sciences spoke at the closing ceremony and congratulated the winners. He mentioned that Institute of Physics has made great progress in science and expanded international relations. Winner team of Institute of Physics shows that they are leading as in the science as in sport. A.Alizade also indicates that games are hold in democratic way and at high level, and arbiters are right at the matches. Sitara Bagirova, member of ANAS Presidium of Trade Union, chairman of Institute of Physics trade union committee, dr. of philosophy congratulated the team and wishes them to score big successes in future. The project is dedicated to new technologies from possible fields of science and technique which are introduced in our life and probably they will mane our future better.